﻿ Ease Hotel, Kota Kinabalu | FROM $27 - SAVE ON AGODA! Have a question for Ease Hotel? 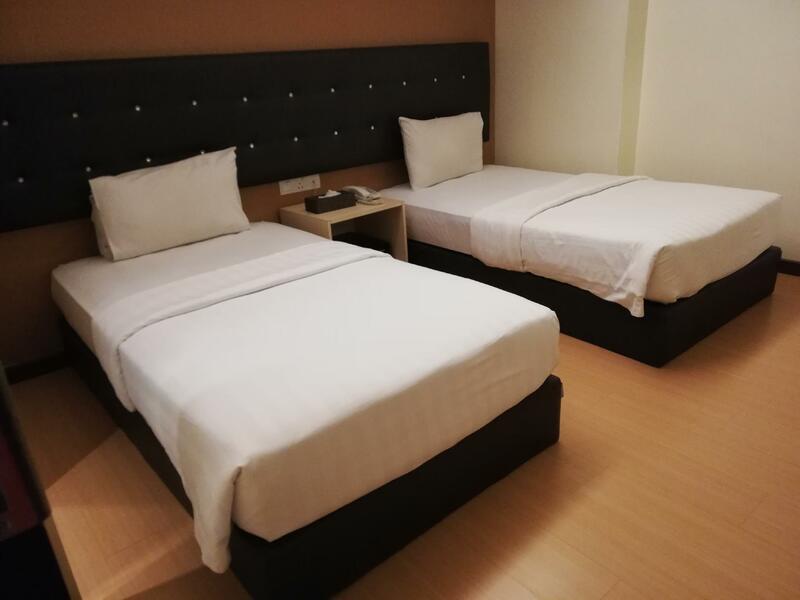 "The room is clean, staffs are friendly and efficient." "Very near to shopping mall and local market." "Very good location close to shopping mall and local market." "The hotel is clean ." 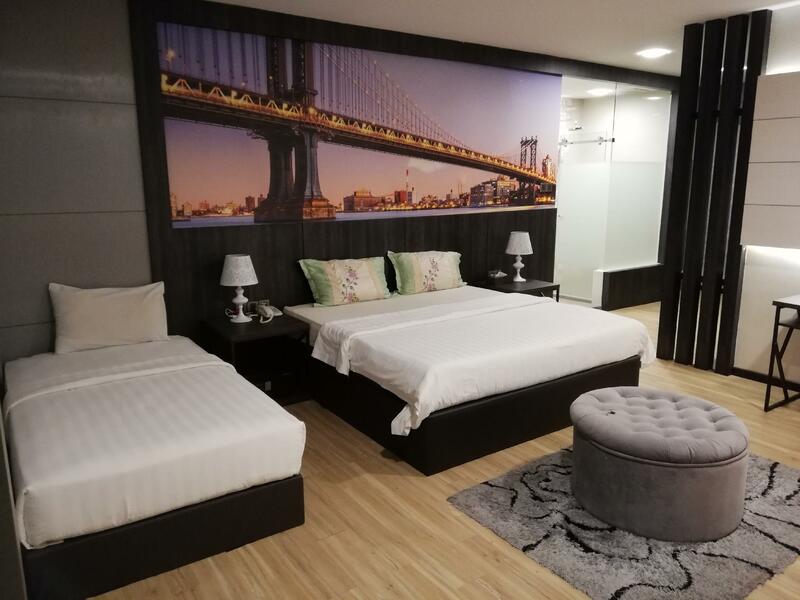 Nestled in the heart of Central Business District, Ease Hotel is an ideal spot from which to discover Kota Kinabalu. With its location just 2.2 km from the city center and 5.8 km from the airport, this 2-star hotel attracts numerous travelers each year. With its convenient location, the hotel offers easy access to the city's must-see destinations. 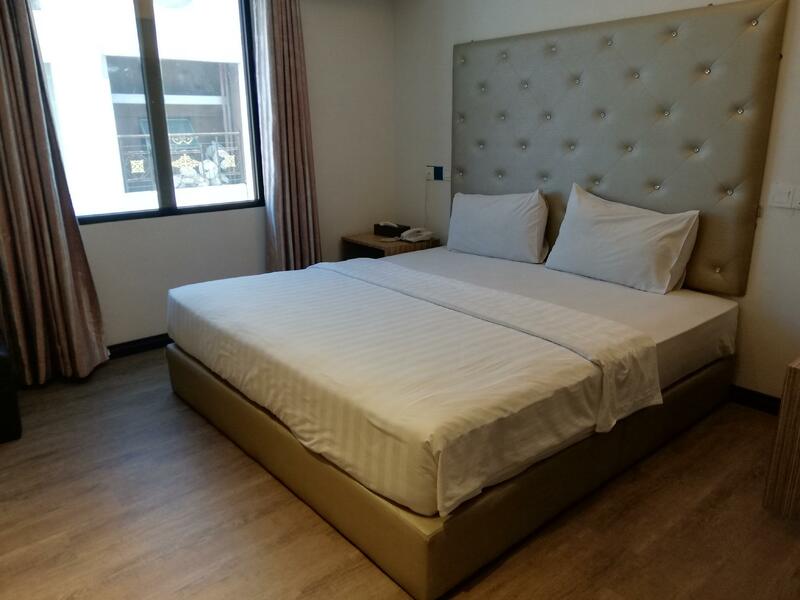 The facilities and services provided by Ease Hotel ensure a pleasant stay for guests. This hotel offers numerous on-site facilities to satisfy even the most discerning guest. Guests can choose from 31 rooms, all of which exude an atmosphere of total peace and harmony. The hotel offers fantastic facilities, including massage, to help you unwind after an action-packed day in the city. With an ideal location and facilities to match, Ease Hotel hits the spot in many ways. ""GOOD LOCATION TO MANY EATERIES. CLEAN AND NICE HOTEL. THE A..."
Good location in the middle of KK town. We came late but the room not yet ready, have to switch room. Better room with window. The lift n alley is a bit scary n hot, outside the hotel a bit. Room is ok n clean. Tv remote not able to be use. Battery not ok i guess. Good location and worth for stay! 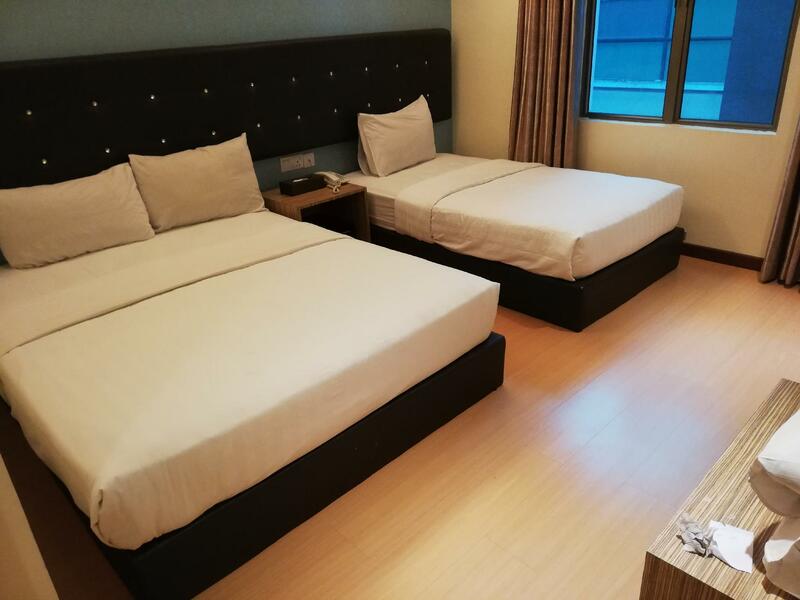 we are friend of 4. we book 2 twin bed room. the hotel only give us 1 twin room and and 1 queen room. we are friend and same gender. how come you give us queen room. second. there is cockroach inside room. so disgusting.,the ceiling is leaking and the heater not functioning well..i need to squat on the floor just to take shower. the entrance to room is smell of rotten carpet. this is worst nightmare.. Overall internal facilities in room are reasonable with the price paid. Comfortable bed and pillows and of course clean. Strategic location to walk around the centre city of KK. Easy for get grab car, uber or taxi. 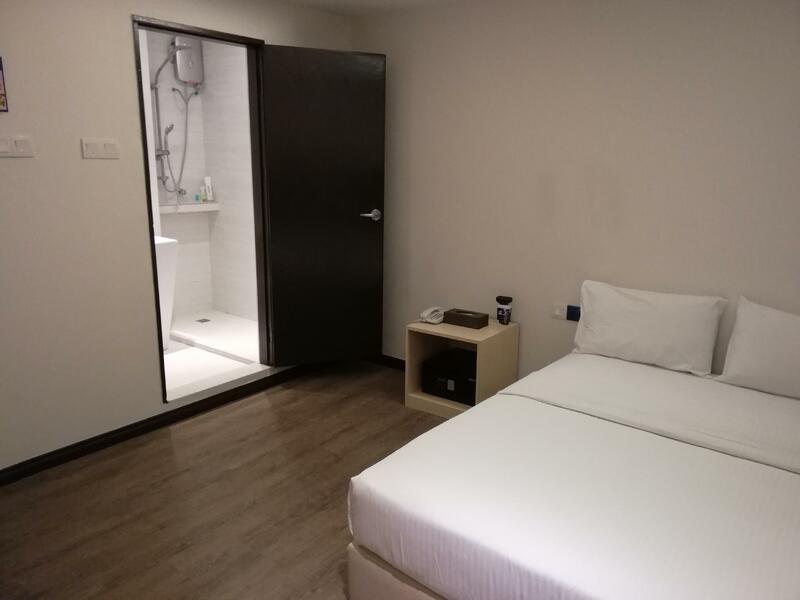 Staff are nice, room are fine with a hot water bath, there is always a security guard in a hotel which you dont have to worry if you park your car in front of the hotel. Location are so strategic which near to shopping mall, food market and water front. The lobby and the rooms are not connected. Feels dangerous on the way to room that need to go out from lobby then go up staircase in the dark alley to reach to the lift to go up to room. Room smelt moist fungus, body shampoo and hair shampoo seems like did not change from previous customer. Luckily brought my own. Walls with stain marks. Will not go back to this hotel and not recommended. This used to be my fave hotel to stay in KK, but now the rooms and hall way is really in need of some makeover and maintenance. The aircon mite need some servicing as well, my room 506 was so hot and it took quite awhile for it to get cold and the toilet really need to be scrub more as it is showing sign of molding (it is molding). Location and the staffs friendliness is the only good thing left about this place. But, there are more n more new hotels opening in KK and offering both this too. Maybe its time to find a new place to stay in kk next time, unless the management of the hotel start maintaining this hotel. Thank you Mr. Ronald for supporting Ease Hotel for a very long period of time since our hotel operated. Your comments are our concern.. We are in the process of renovating.. slowly but surely. Thanks again for your support! The hotel facilities abit weird when i need turn to my room,need exit at back then go up with staircase then just have lift to go to the room.In the room,the sound insulation are very poor then toilet water pipe leaking made the wiping cloth wet.For whose got transport this location are not recommended to stay cause front lobby the parking slot need to pay rm5 for 3 hrs. the hotel toilet is dirty & the water is small, difficult for us to take bath. great location. Stayed here many times. I got my room with strong musty smell, the wooden skirting is full of mold. After changed to other room, the condition was no better. Left the hotel with disappointment.